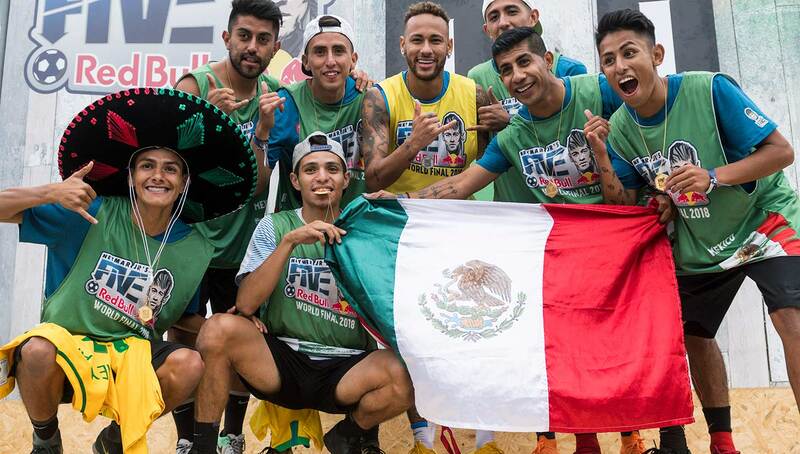 In its third year of existence, the Neymar Jr’s Five tournament has shown no signs of slowing down. 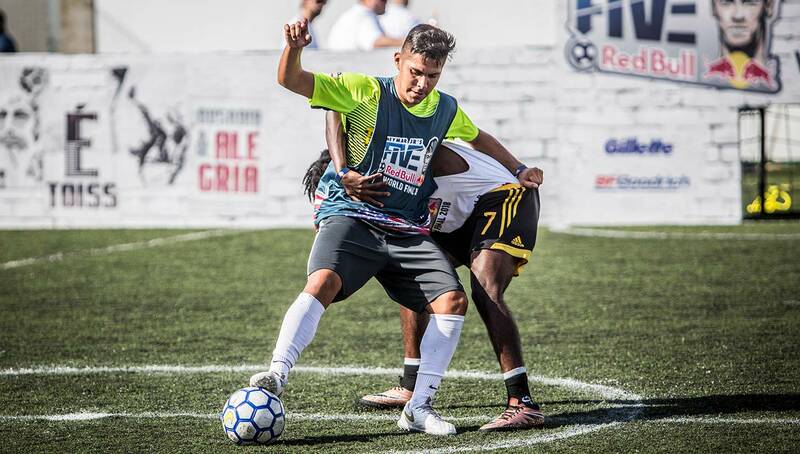 With the world final concluding over the weekend in Praia Grande, Brazil, we rounded up some of the top highlights, bloopers, and can’t-miss moments from the world’s biggest five-a-side competition. 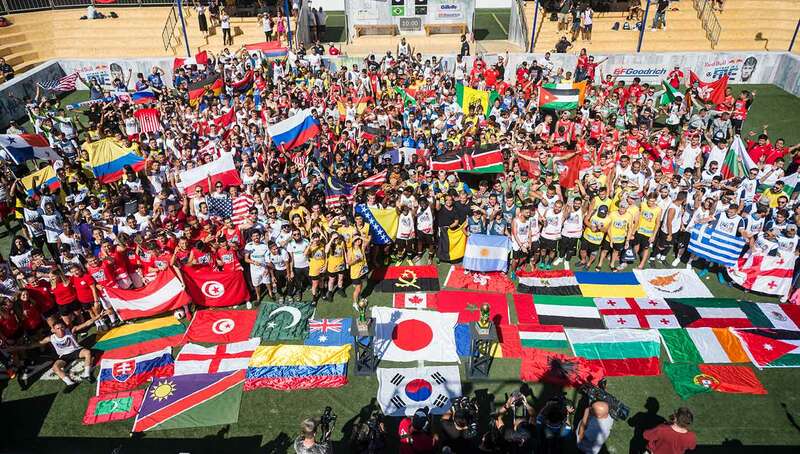 Just weeks after France was crowned World Cup champions, another global football tournament took place, albeit this time on a much smaller pitch. 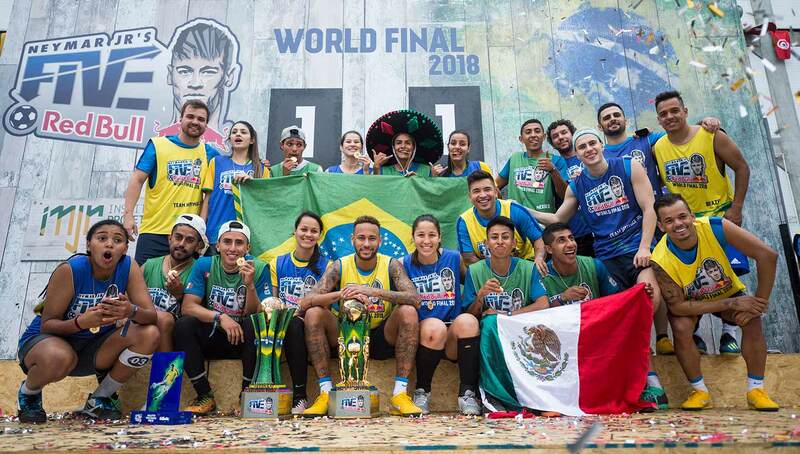 Featuring teams from 62 countries and the introduction of a women’s bracket, the 2018 Red Bull Neymar Jr’s Five World Finals was a fittingly epic conclusion to the series’ biggest installment yet. 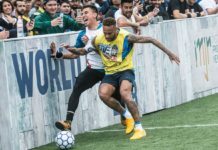 Of course, Neymar himself was at the grand finale, taking on the winners of both the mixed and women’s divisions in a friendly match alongside some of his childhood friends. 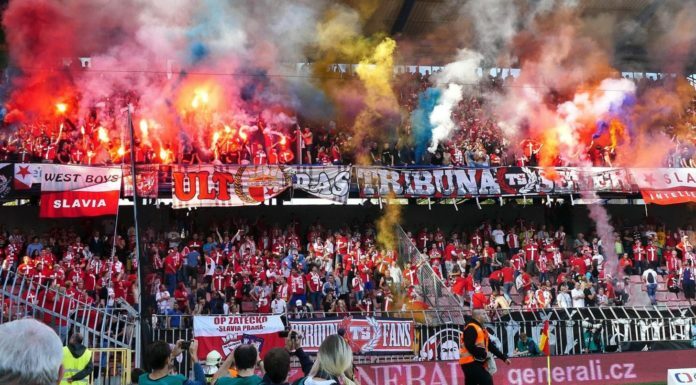 While you could easily lose yourself in the frenzy of highlights that have gone up around the web, we’ve organized a list of some of the biggest and best moments from the always-entertaining small-sided tournament. 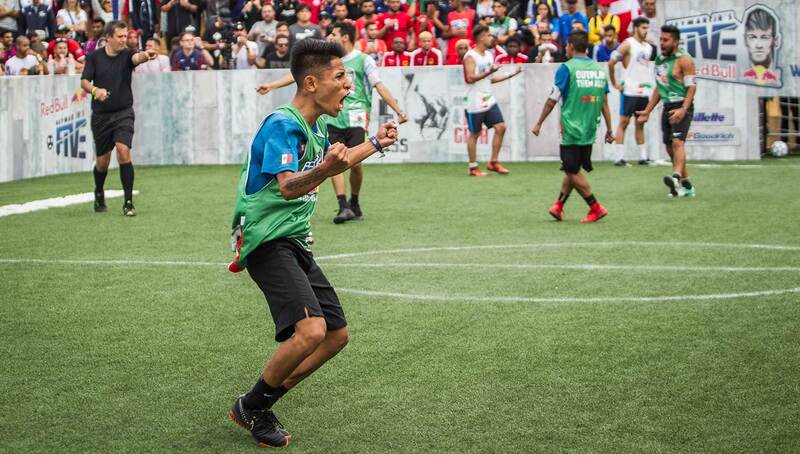 After last year’s dramatic final that ended in an intense 1v1 showdown, the bar for this year was set high. Despite the lofty expectations, both brackets managed to produce entertaining championship matches rife with suspense. 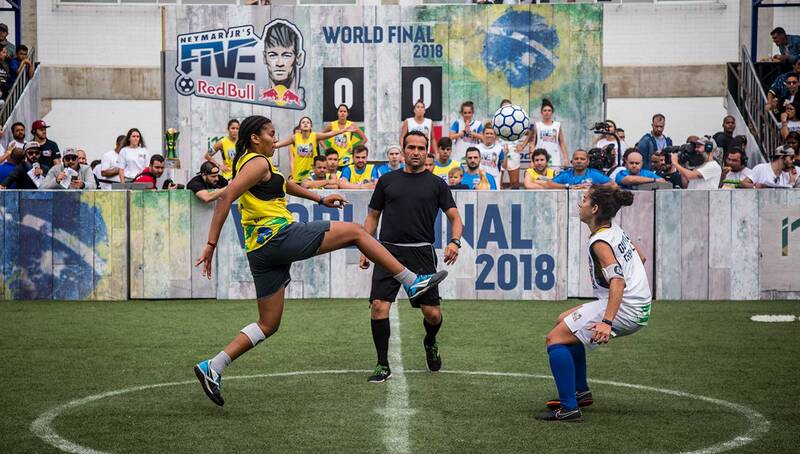 On the women’s side, Brazil’s Resenha 013 took on Italy’s Futsal Florentina in a match that was decided by another 1v1 showdown after both teams failed to produce a goal in regulation. 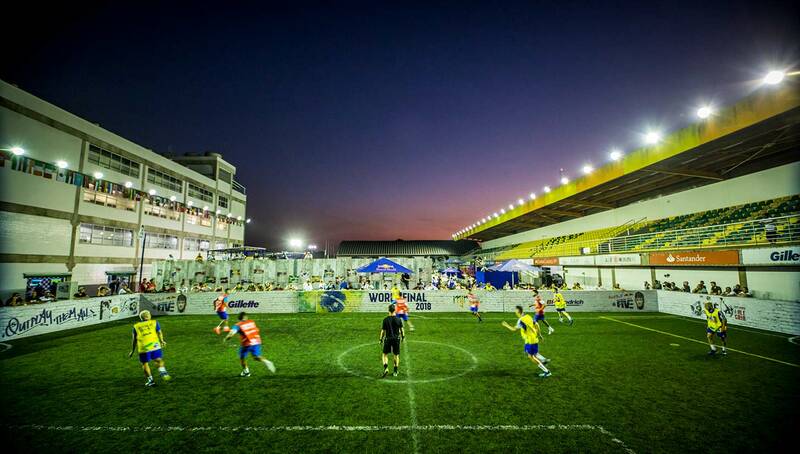 Brazil was able to take home the championship in front of their home fans, joining Anjos de Bola as the second Brazilian team to win the tournament. Meeting Resenha 013 in the winner’s circle was Deportivo Mago of Mexico, who dominated the entire tournament, allowing just two goals in their five playoff matches. 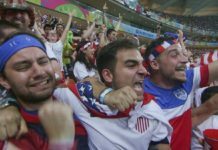 They took on Argentina’s Narigas Team in the final, who put forth a valiant effort, including an impressive one-against-four goal that was later named the No. 1 goal of the tournament (more on that later). 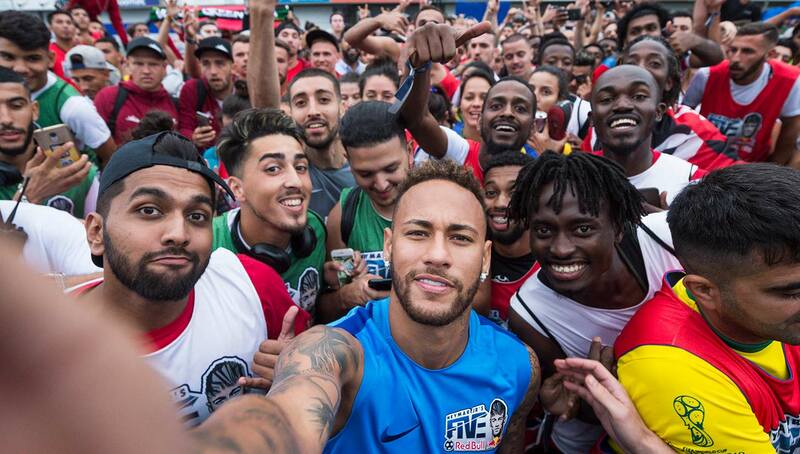 Both Resenha 013 and Deportivo Mago will get to travel to Paris for a one-of-a-kind experience with Neymar and Paris Saint-Germain. 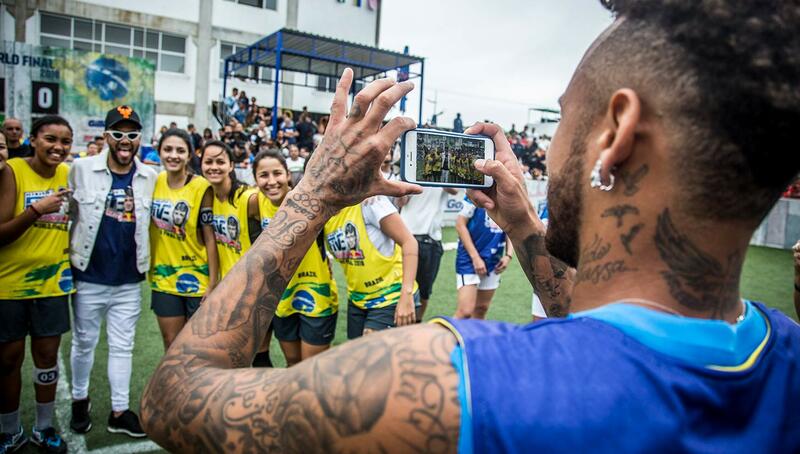 Located in Neymar’s hometown of Praia Grande, the Instituto Projeto Neymar Jr. is a state-of-the-art, 8,400 square-meter facility that serves the community with educational and athletic programs. 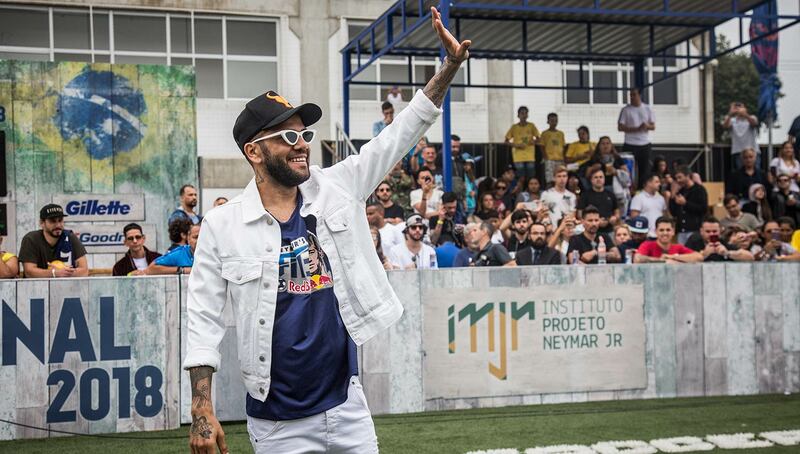 In addition to the facility, which has hosted all three Neymar Jr’s Five World Finals, the Instituto Projeto Neymar Jr. is a non-profit foundation that has been dedicated to social causes since its inception in 2014. 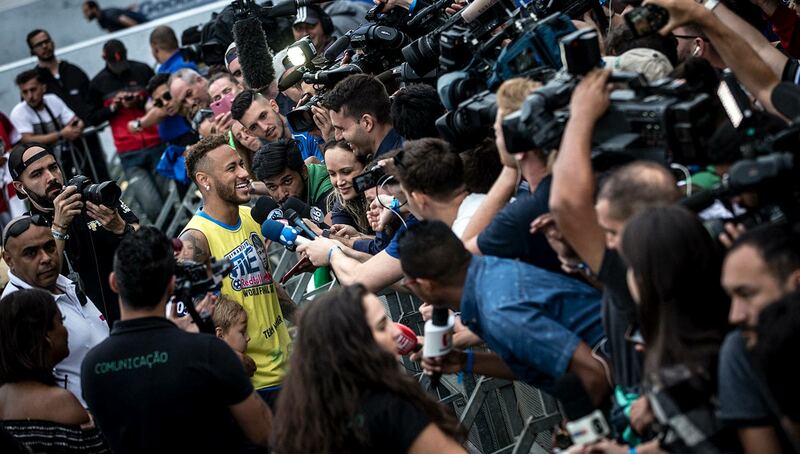 We all know that Neymar is full of surprises. 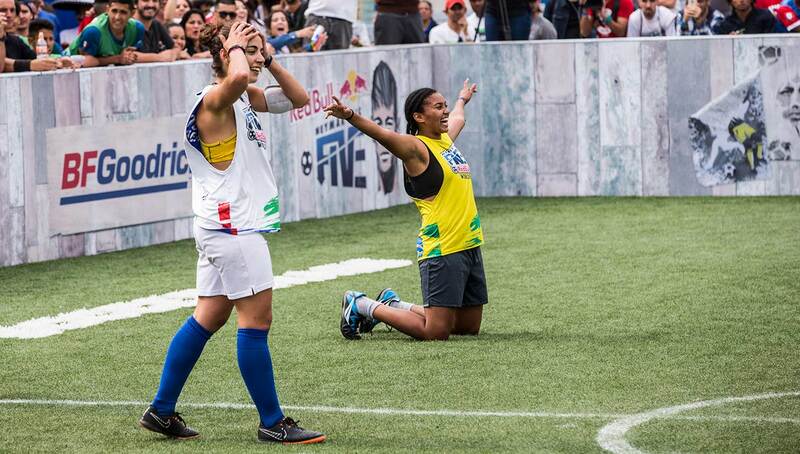 After bringing out Lucas Lima in 2016 and Gabriel Jesus in 2017, those in attendance couldn’t wait to see who this year’s special guest was — and they weren’t disappointed. 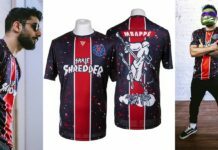 Despite not being able to play due to a leg injury, Brazil national team and PSG superstar Dani Alves came through to root on his teammate and friend from the sideline while donning some — let’s say interesting — sunglasses. 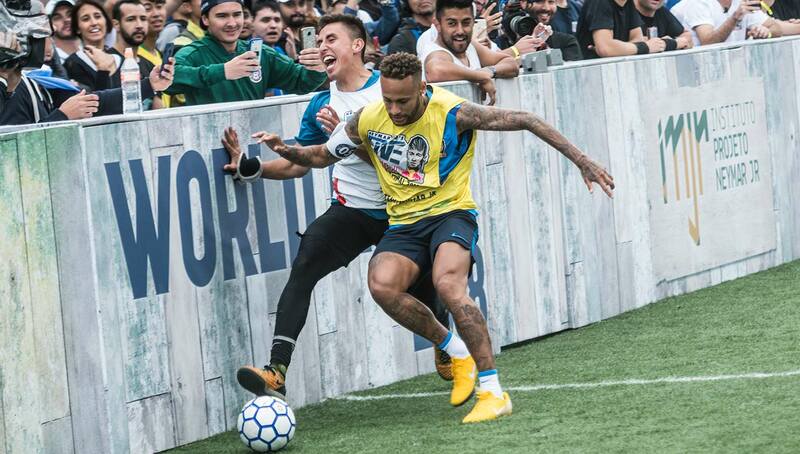 Out of the 125,000+ players that registered for the Neymar Jr’s Five tournament around the world, these were the best. Obviously, there was bound to be some impressive on-pitch feats. 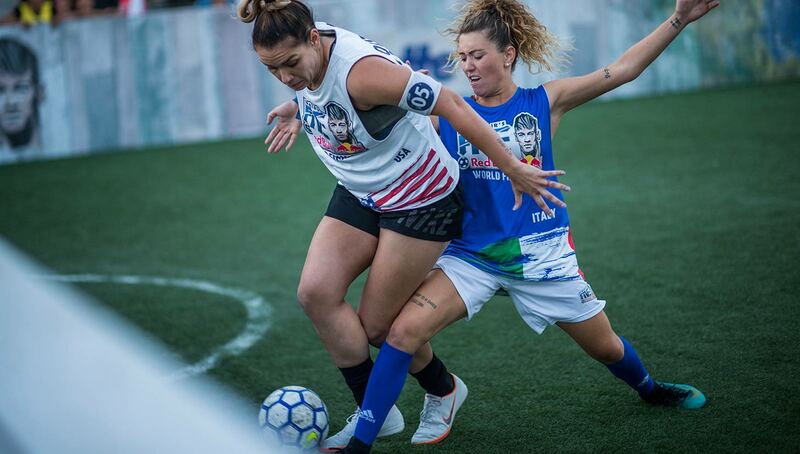 Thankfully for you, the Red Bull team put together this highlight tape of some of the most eye-popping goals scored in the entire tournament, including the aforementioned one-against-four goal from Argentina in the final. With the good, comes the bad. 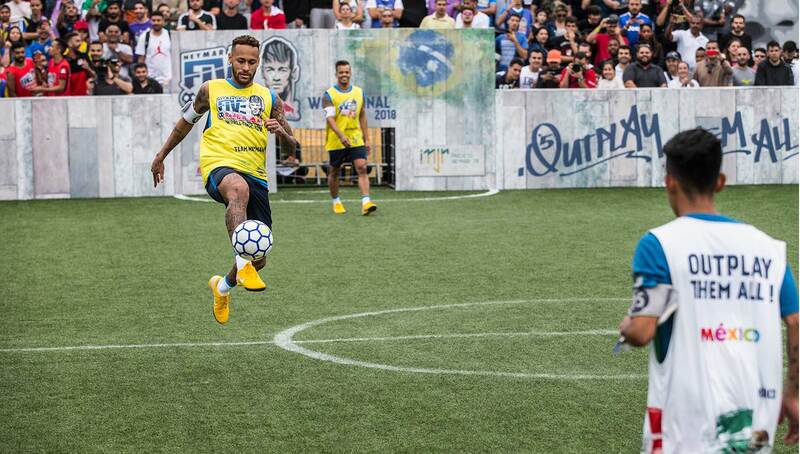 Even the world’s best five-a-side ballers can mess up from time to time. Just as we will always marvel their feats of accomplishments, we’ll always laugh at their missteps. From own goals to shanked wide open shots, enjoy the five best (or worst?) “drop-the-ball” moments from the world finals. Photography by Fabio Piva, Christian Pondella, and Marcelo Maragni for Red Bull.